The NFL Fantasy Football is a game in which you have an opportunity of creating your team, manage it and be the coach of the team. The team that you create will feature some of the NFL players. As a manager in the NFL fantasy football game, you will have an opportunity of naming your team as you wish. You will earn points depending on how your selected NFL players perform on the pitch. To participate in the NFL fantasy football, you will have to decide whom to pick on your team from the various players. To do this, you can either participate in an auction or a draft. The performance of players on the field will earn you fantasy points. Every week, you will be going head to head against another team in your league, and the team that will have accumulated the most points at the end of the season will win the league. If there is a tie at the end of the season, the teams tying will go for a playoff so that the winner can be determined. The Redraft League: is the most popular type of league where you draft a new team each year. The Keeper League: is the type of league where every owner is allowed to retain a few of his players from the previous roster. For example, we can say that your league allows members to retain three players per team. As your teams draft approaches, each owner at the league will have to select three players that they would want to retain in the coming year. The Dynasty League: on the other hand, allows you to retain your entire team. In this type of league, the young players have more value since they still have more play time in the future. The Head to Head Leagues: where the owners are put to play against each other every week. The team that scores the highest points usually wins the match. The Points Only League: where your team's overall score is the important thing. In this league, the team that will have the highest point will be declared the winner. 1K, 1 FLEX, 1TE, 2WR, 2RB, 1QB, 7Bench, 1 Team Defense. In other leagues, you may be allowed to roster personal defensive players of your entire NFL squad. These players will add points to your team when they make touchdowns, sacks, tackles, and turnovers. Are You Ready to Play Some Fantasy Football? 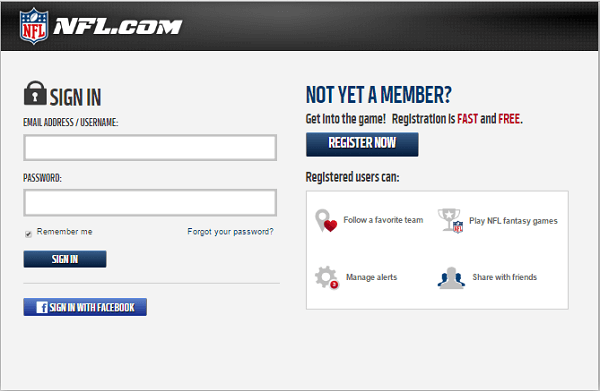 Now that you have understood the basics of fantasy football, it's time to create an account and start playing online. 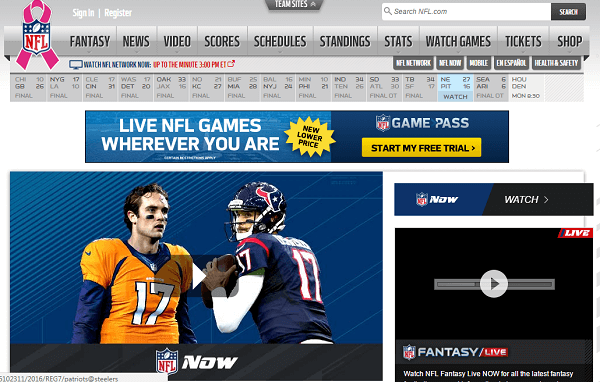 To create an account with the NFL, you will need to fantasy; you will be required to click on the register now tab. You can achieve this either by clicking on the register now tab or clicking on the sign in with Facebook tab. Once you successfully sign up, create a team that you will field every week. When picking the team, ensure that you’ve made wise decisions. Pick players who are cheap and have a track record of performing. Once you are signed in, you can join or create a league. However, you will be required to have the NFL fantasy code of the particular league. To optimize your fantasy experience, ensure that you follow some of the following tips. Do not just log into your account on the deadline day and start drafting or preparing your team. Instead, it's advisable that you do research on the players that you would like to select. Like I stated earlier on, ensure that they are worth your money. Ensure that you take note of all the players that you choose more especially the team defenses and quarterbacks. Additionally, avoid overloading your roaster with teammates. Choose players from different teams. To ensure you are not biased, you can use the fantasy playoff schedule, which will give you news on the players’ suspensions and injuries. Ensure that your roster is completely filled and with a plan. For instance, you shouldn’t draft a third quarterback before you’ve selected your second running back. Moreover, don’t draft a kicker in the 5th round. If it’s possible, don’t draft any kicker at all in your roster. If you feel it’s necessary, you can select one up off the waiver wire. As a regular fantasy football player, I’ll advise you to focus on depth. Select enough skill-position players in your team. owards the end of the season, do your best to ensure that you’ve strengthened your team. In my experience as a fantasy football player, I’ve witnessed people making baffling late-round picks such as injured players, or players who are on retire. Do you actually do this? Most people forget to counter check their final roster before they make payments. 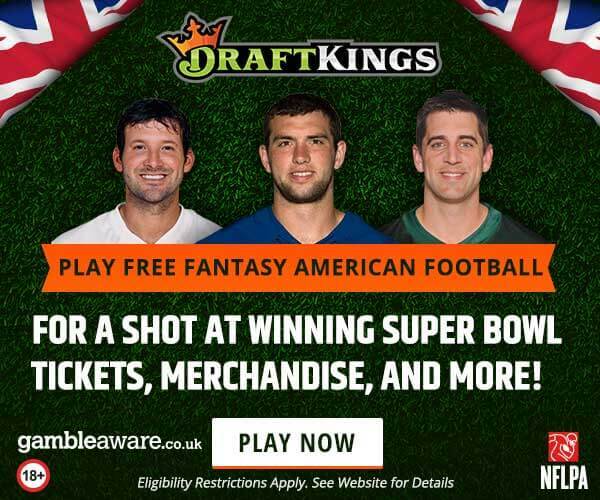 Just like the EPL fantasy premier league, NFL fantasy football should be fun to play. Never take it too seriously.